As of the 21st century there are about a dozem major extant religions. Three of them - Judaism, Christianity and Islam emerged in the 13th century B.C. ; 1st and 7th century A.D., respectfully. In the 19th century, the son of a Tehran (Iran) government minister founded the Bahai religion. His name - Mizra Husayn (or Hosain) Ali (1817 - 1892). This religion has its roots in Babism, a religious movement which in 1844 was founded by Mizra Ali Mohammad of Shiraz. Babism or Bahaism seeks to reconcile certain teachings of Islam, Judaism and Christianity. The Bab, i.e. Mizra Ali Mohammad, predicted the coming of a new Godly messenger who would upend traditional beliefs and customs. Bahai's doctrine of spiritual faith professes the emergence of that messenger. This new Godly messenger's name was ~ Mizra Ali ~ thus Mizra Hosain Ali proclaimed himself Baha Ullah or "glory to God". The documentary film, "Bahai Faith - A Way Forward" attempts to show that a reconciliation of these three systems of beliefs and for the devout believers, their entire way of life, is possible. 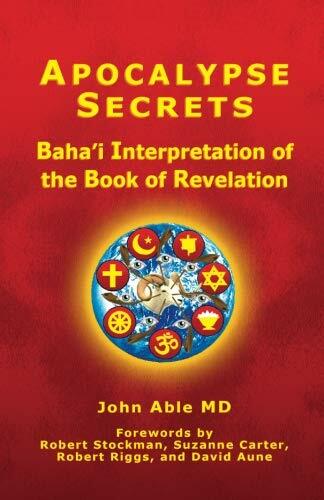 Baha'ism is monotheistic: believing other religions are Godly revelations of His will for humanity. From its beginning, this movement was not readily accepted and followers were persecuted. Mizra Ali Mohammed was executed and 20,000 of his followers were killed during the period 1844 - 1850. But in in 1863, Mizra Hosain Ali [1817 - 1892] [ aka Mirza Hussein Ali Nouri ] claimed to be the universal prophet the Bab (i.e. Mizra Ali Mohammed) had foretold was coming; and his purpose was to unify mankind. Upon Hosain Ali's death, 1892, his eldest son, Abbas Effendi became leader; and just before he died in 1921, he appointed his grandson Shoghi Effandi Rabbani as his successor. The world headquarters for the Bahai Faith is in the Haifa/Acre area in the north of Israel. Since its establishment, as the Bahai community of disciples has grown (to an estimated 5 million), they have erected temples and shrines around the world: the Middle East, the United States, India and other places. Above, the intro photo is a picture of Bahai Shrine and Gardens located in Haifa, Israel on Mount Carmel, which has been designated by UNESCO as a World Heritage site. The Nine Pointed Star is not the only symbol in the Baha'i Faith but it is the symbol most people - believers and non-believers associate with baha'ism. Current news updates indicate that this movement has not been wholly tolerated and persecution of those who are Bahai believers still takes place in various countries. The topic of world religions is an interesting and fascinating subject, worthy of research and open-minded discussion. At the high school I attended, "Religions of Man" was a required course. It covered all of the major religions of Asia, the Middle East and the Western world. The contrasts and comparisons of the various faiths was very enlightening. 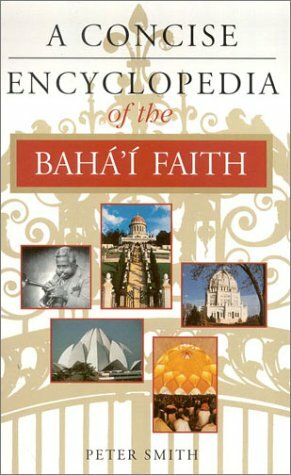 Since the catastrophic events that occurred in America on September 11, 2001, the change in attitudes toward a certain religious group prompted me to revisit a study of the religions of man and in particular take a second look at the Bahai faith and at its attempt at unification by reconciling the Judaeo-Christian and Islamic creeds. A reconciliation? Is this possible? 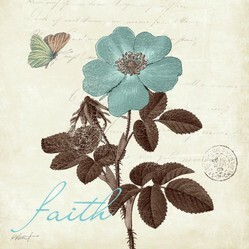 The documentary film, "Bahai Faith - A Way Forward" attempts to show that it is possible. "Bahai Faith - A Way Forward" is a documentary profiling the lives of three Bahai believers who demonstrate their faith in action to show how it is applied to achieve noble goals. While this may be true, and while the attempt to reconcile certain teachings of Islam, Judaism and Christianity through Babism is possible, any efforts to reconcile ALL teachings of these four faiths would be utterly futile. "Bahai Faith - A Way Forward" is a documentary profiling the lives of three Bahai believers who demonstrate their faith in action to show how it is applied to achieve noble goals. (See video below.) While this may be true, and while the attempt to reconcile certain teachings of Islam, Judaism and Christianity through Babism is possible, any efforts to reconcile ALL teachings of these four faiths would be utterly futile. * Jesus and Moses were God's prophets during the times in which they lived. Each divine revelation through each prophet was progressive and relative. Progressive, that is to say, moving forward or onward; and relative, i.e. relevant to its age. The intent of this lens is not to cause or promote controversy, but I can state clearly and plainly that on this point or teaching regarding Divine revelations there will never be AGREEMENT. For a devoted Jew, Muslim or Christian to accept this belief, they would have to totally betray their own faith. This is A QUESTION OF DOCTRINE, not one of reconciliation. At this crossroad, the FAITHS COLLIDE! If when it comes to doctrine, there's no such thing building a bridge through compromise; and reconciliation is an impossibility, why bother? If for nothing else but your own personal growth, learning about ordinary human beings who have had such a widespread impact on humanity can only broaden your perspectives and understanding of history and current affairs. Archaeological evidence found in Iraq, indicates that Cyrus, King of Persia, granted those who had been taken as captives of war, the freedom to return to their homeland and practice their faith. Why did he bother? A path to peace? Perhaps? In 2008, the Shrine of the Báb deemed by UNESCO as having "universal value"
Witchcraft: Past and Present - Science? Philosophy? Religion? Exploring your religious options? Some say witchcraft is a religion. Let's explore. Fertility Symbols and Hindu Gods of Fertility - Fertility symbols and fertility rituals are present in many cultures and faiths. Hinduism makes extensive use of fertility symbols and fertility rituals in religious practices. There's a movie called “Highlander” and one of the lines I distinctly remember from the movie was “There can be Only One.” That would be the end product of a “reconciliation”. Wouldn't be 3 different faiths. Only One. Thanks for that link. Bookmarked it! Hi. I agree: trying to reconcile religions is a hopeless case. The differences between religions are there for a reason & people are attached to them. @EmmaSRose - Thank you also for sharing your thoughts. Whenever I broach the topic of religion I am never certain which way the wind will blow. i will tell you of a conversation that I had with a young Bahai woman. She told me that she belonged to all religions, as her religion includes all the revelations that went before. I pointed out that Christianity believes in God while Buddhism does not, so there are inconsistencies between faiths, so she cannot belong to all faiths and all cannot be included in hers. I also pointed out that Christianity has the Eucharist, while the Bahi faith does not, so her faith does not inlclude all previous revelations. She did not look very happy. As you say, faiths collide on some points. How Can Christians Explain Their Faith to Muslims? Are Religious Parents Raising Selfish Brats? Many Muslims struggle to understand the Christian faith, but there are ways of explaining it that are sensitive and respectful. Findings from a recent study published in the journal "Current Biology" suggests children raised in religious homes are less giving and more judgmental.